QUILCHENA - Spacious bungalow with generous principal rooms. Very deceiving from the street with Oak Hardwood floors, leaded glass windows and wood burning fireplace. Bright kitchen/eating area with skylights and French Doors toWest facing sundeck. Adjacent family room and 3 bedrooms on the main floor, recreation room, 2 bedrooms, office and bath on the lower level opens to PRIVATE, beautifully landscaped garden. 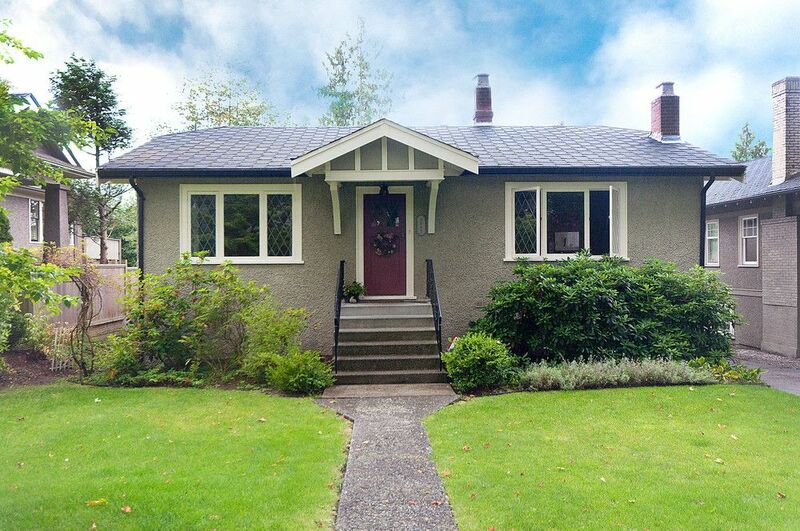 Excellent location close to the Arbutus Club, Quilchena Elementary (French Immersion), York House and Kerrisdale shops.